Facebook COO Sheryl Sandberg said her company would present “alternative facts” to combat what she described as “misinformation” spread on Facebook’s digital platform. She offered her remarks during a Wednesday Senate Intelligence Committee hearing ostensibly examining “Russian interference in U.S. elections” in Washington, DC. Partial transcript below [emphasis added]. 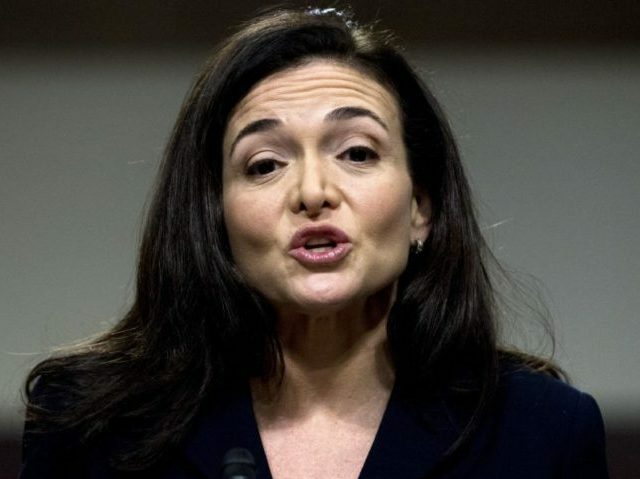 SANDBERG: Finding a line between what is hate speech and what is misinformation is very, very difficult, especially if you’re dedicated to expressing free expression, and sometime free expressing is expressing things you strongly disagree with. In the case of misinformation, what we do is we refer it to third-party fact-checkers. We don’t think we should be the arbiter of what’s true what’s false, and we think that’s really important. Third-party fact-checkers then mark it as false. If it’s marked as false, we dramatically decrease the distribution on our site, we warn you if you’re about to share it, we warn you if you have shared it, and importantly, we show related articles next to that so people can see alternative facts. The fundamental view is that, bad speech can often be countered by good speech, and if someone says something not true and they say it incorrectly, someone else has the opportunity to say, ‘Actually, you are wrong. This is true,’ and that’s what we’re working on through our systems. We’re making progress on fake news. We’re getting rid of the economic incentives to create it, and we’re limiting the distribution it gets on Facebook. We demote articles rated by third-party fact-checkers as false, we warn people who have shared them or are about to share them, and we show them elated articles to give them more facts. Facebook’s “fact-checking partners” include news media outlets such as Agence France Press(AFP), the Associated Press (AP), Factcheck.org, PolitiFact, Snopes, and the Weekly Standard.